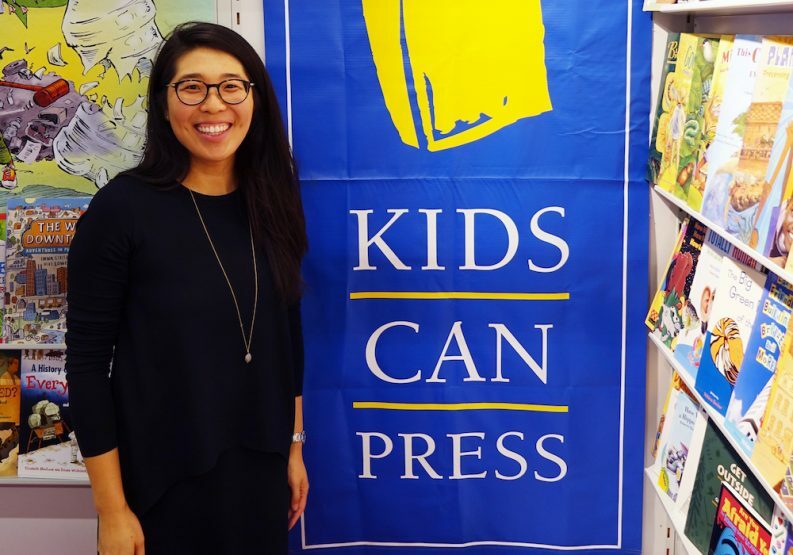 Toronto-based Kids Can Press reports strong international interest at the Frankfurter Buchmesse for the publisher’s issue-driven list of upcoming titles. Among titles referred to by Kids Can Press‘ Lisa Lyons Johnston in her Frankfurt interview with Publishing Perspectives, she singled out The Hive by New York Times bestselling author Barry Lyga and his wife Morgen Baden. The book is scheduled for a fall 2019 release. Rights director Adrienne Tang tells us that she found strong interest in the book at the Frankfurter Buchmesse, particularly from Germany, France, and the UK. We asked Tang for more key titles from the publisher at Frankfurt, and how they fared. Michigan vs. the Boys by Carrie S. Allen 0f (fall 2020), she says, is about the sole female player on her school’s varsity hockey team and how she must decide to blow the whistle on her teammates when hazing crosses the line to harassment. Life in the Wild Christmas, “which is the latest addition to the bestselling picture book series by Nicholas Oldland,” Tang says, “is going to be huge. “We have four deals already confirmed: France, French-language Canada, Germany, and Spain. 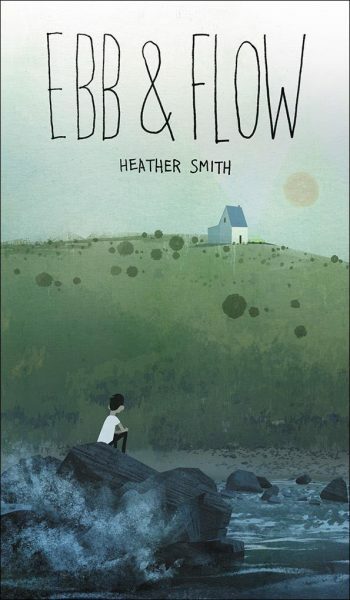 It’s scheduled for a fall 2020 release, which means it will time with Canada’s stint as the Frankfurter Buchmesse’s Guest of Honor that autumn. Another title of interest, she says, is Mine. Yours. 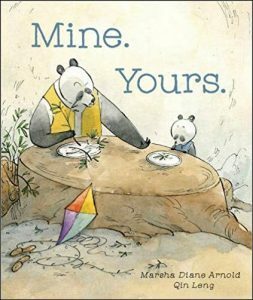 by author-illustrator Qin Leng, a title with Marsha Diane Arnold expected in April. “Qin’s art captivates buyers around the world,” Tang says. “As is often the case, interest in a recent title can generate interest in previous titles, too. There’s a lot of renewed interest in Qin’s backlist, including Hana Hashimoto, Sixth Violin. “And finally,” Tang says, “Lisa had a lively and productive meeting with Frankfurt 2020 project managers Meredith Quaile and Allison Larin about programming for Guest of Honor Canada. 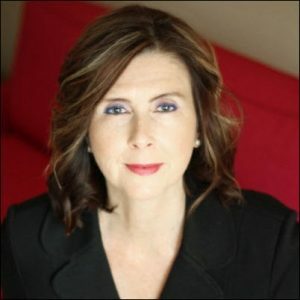 “Canadian publishers are very excited about the prospects for this spotlight on our industry in 2020 and we’ve been giving a lot of thought to how we might present our books and creators at the 2020 fair and in the programming leading up to it. Near the end of September, Kids Can Press announced two new television productions based on its content—another demonstration of the kind of brand-extending moves the house is known for, not unlike its “Bring Back the Bees” campaign in partnership with General Mills Canada. We started our exchange then by asking Lyons Johnston whether in this politically charged time she’s able to detect a trend toward more politically aware or related work. Publishing Perspectives: Are your readers interested in learning more about Canada’s Truth and Reconciliation work? Lisa Lyons Johnston: Today’s youth are incredibly engaged—politically, civically, socially—and we as publishers need to encourage that engagement with books that will inform and inspire. That’s part of the reason why we wanted to support Canadian Geographic’s efforts with their ambitious and essential resource, the Indigenous Peoples Atlas of Canada [an initiative covered here by Publishing Perspectives]. Canadian students are aware of the Truth and Reconciliation calls to action, and teachers are eager to learn more about indigenous history and culture, to share this knowledge with their students. So we’re pleased to have added this sought-after educational tool to our catalogue. There’s definitely been a recent uptick in young readers wanting to make change. The activism we’re seeing around the world goes hand-in-hand with inspiring young people to be better global citizens, which was our mandate when we began the CitizenKid collections of nonfiction books almost 10 years ago, and which is now 20 books strong. 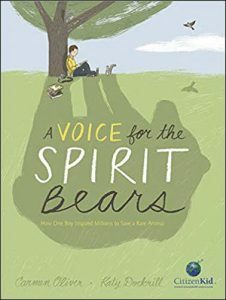 That’s much like our CitizenKids title A Voice for the Spirit Bears: How One Boy Inspired Millions to Save a Rare Animal (coming in May). It tackles the issues of animal and environmental protection while telling the story of the real-life “citizen kid” Simon Jackson. He set out to protect this rare species. And another example is a book about the origin of the United Nations’ International Day of the Girl, inspired by the girls who proposed a global day to recognize girls’ rights—which was spearheaded by Canada’s UN representative at the time, Rona Ambrose, who’s providing a foreword to the book. In our [upcoming] KCP Loft title Michigan v. The Boys, author Carrie Allen examines gender parity in sport—in this case hockey—we see a topic that continues to dominate news cycles, and one that young readers are eager to explore in their fiction, too. It’s a timely novel that also tackles issues of sexual assault and consent, as the main character’s hazing by her male teammates crosses the line. 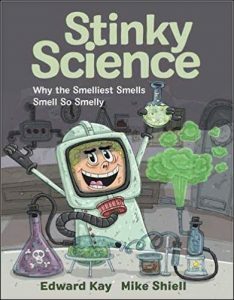 There continues to be an interest in STEM-related books, too, and we have a number of new titles on the theme, including a fun look at the science of smells with Stinky Science: Why the Smelliest Smells Smell so Smelly and an up-close-and-personal and wholly unique perspective on the Apollo 11 spaceflight with Moon Mission: The Epic 400-Year journey to Apollo 11, which follows every step of the amazing journey and links the innovations and discoveries from the past four centuries that made it possible. PP: How is the book market changing with the times? Are there ways that Kids Can Press is changing its approaches? LL: I was talking about this at The Markets—about finding great content and how we need to look for what’s trending and determine whether it can be adapted to print. 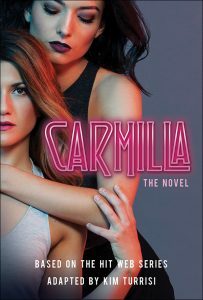 [In addition to the Carmilla project, mentioned by Tang for a 2019 treatment by Kim Turrisi], we were also drawn to the film Kiss & Cry, based on the true story of Carley Allison, an 18-year-old figure skating star and talented singer whose life was cut short by an extremely rare form of cancer. 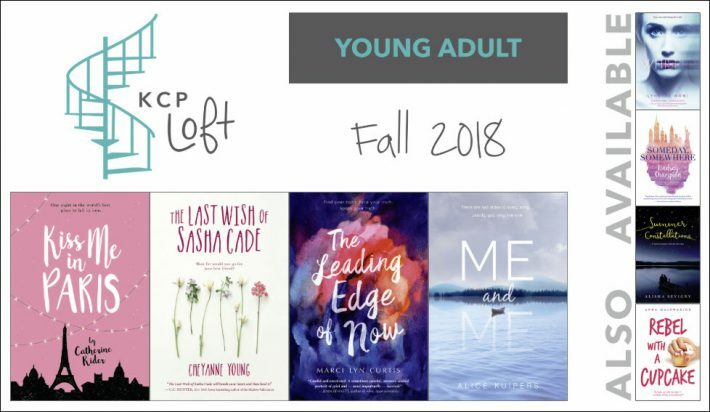 We immediately saw the universal appeal of this young women’s tragic yet inspiring story and we were able to pair it with the project bestselling YA author Alice Kuipers is doing—she crafted an unforgettable biography from the popular blog Carley, created on her journey with the disease. 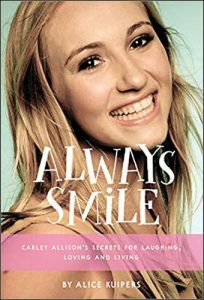 Always Smile is our first nonfiction title on the KCP Loft list and also releases this spring. PP: What do parents seem to want the most? LL: We had an opportunity to hear a presentation by George Carey, the CEO and founder of The Family Room, a strategic research and insights company, and learned that one of the things that parents want most is for their children to grow up to become well-adjusted, good human beings. Given the world today, we’d already started to double down on providing the kinds of picture books that we’ve always done, but started contextualizing these as books for social and emotional learning, and this report reassured us that our intentions were in line with what parents want. 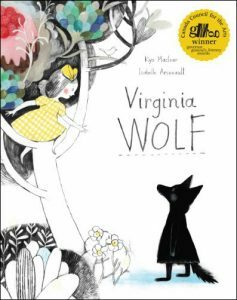 Books like the award-winning Virginia Wolf subtly teach social awareness, while books like Me, Too! and Me, Me, Me and the upcoming Mine. Yours. help kids manage feelings and develop relationship skills. We’ve always been good at taking tough subject matter and making it suitable for younger children–these books helps parents and teachers, too, guide younger children through teachable moments. More from Publishing Perspectives on Kids Can Press is here, and more on the Canadian market is here.